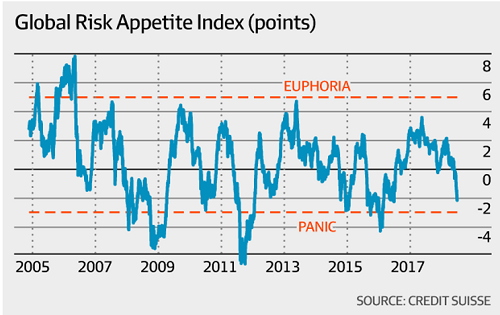 Signs are brewing that asset markets are finally reaching a tipping point. we’re heading for a similar bubble burst to 1987, 2000, 2008 or even 1929, only this one will be bigger. Who has the most to lose? Whilst these are US statistics they don’t differ much in the western world. The rest of the world’s economists, having observed America’s apparent financial success, copied its Keynesian methodology developed in the 1930s. Thus, virtually the whole world is now marching in lockstep like lemmings towards the edge of a cliff. Since 1983, the top 1% has climbed from 34% of financial asset ownership to 40% (and I’ve seen some studies say that it’s closer to 50%). The bottom 90% have fallen from 32% financial asset ownership to 21%. How much can the latter lose when they don’t have many financial assets to begin with? For a broader view, look at this chart, which shows the top 10% versus the top 20%. The top 20% control 90% of the financial assets while the top 10% controls 79%. That means the bottom 80% control only 10%! So, there are no two ways about it: When this bubble finally bursts for good, and wealth is destroyed for a long time, it will be the richest that lose the most! Whilst they lose the most, it will be the 90% that will suffer the most as they will not have money or jobs to put food on the table.